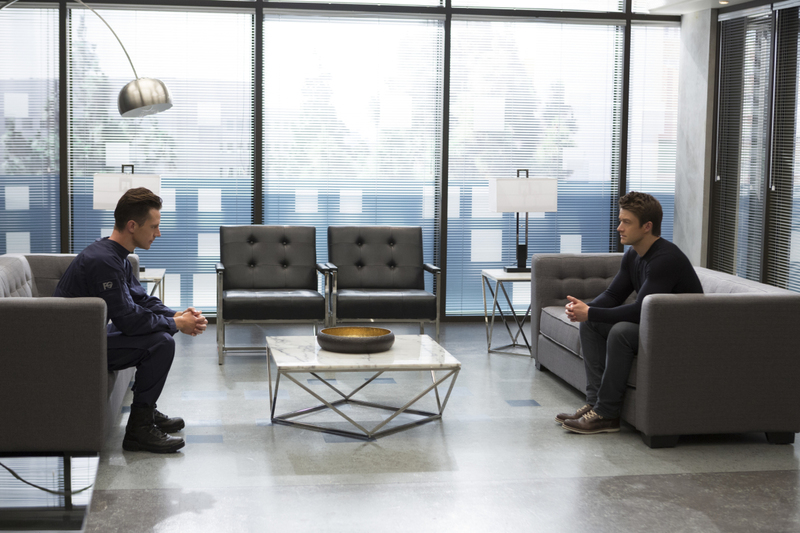 Official CW description and preview images for the iZombie season finale "Looking for Mr. Goodbrain, Part 2"
The CW has released an official description with spoilers for the June 27 season finale episode of iZombie. The finale is called “Looking for Mr. Goodbrain, Part 2” and here’s how they describe it; hopefully we’ll have some photos soon. Thankfully, of course, this is not the end as the show has already been renewed for Season 4! iZombie -- "Looking For Mr. Goodbrain, Part 2" -- Image Number: ZMB313a_0006.jpg -- Pictured (L-R): Jason Dohring as Chase Graves and Robert Buckley as Major -- Photo: Michael Courtney/The CW -- ÃÂ© 2017 The CW Network, LLC. All Rights Reserved.